Extendable dining tables are a popular inclusion in dining room schemes. The ability to turn a dining table from a six-seater to an eight or ten-seater can be very useful for clients that entertain or host events within their dining space. And as the holiday season approaches - with its various opportunities for a family meal or party - this ability to extend dining spaces easily is important. 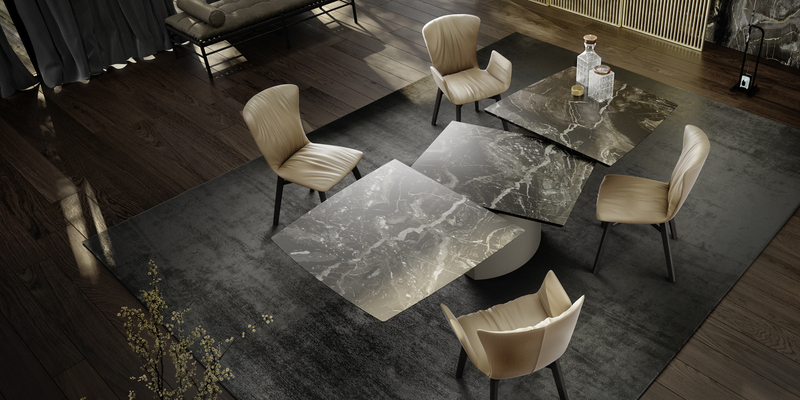 The Adler Dining Table from the designers at Draenert offers a fantastic solution to an extending table. 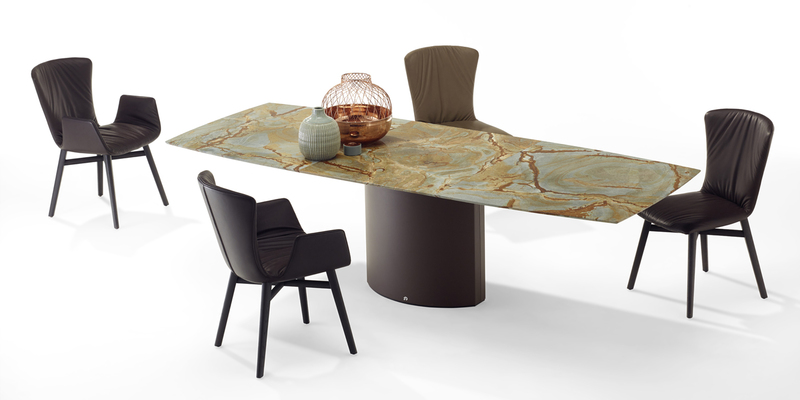 Rather than the traditional approach to extending a table (which includes additional table sections stored below the table or elsewhere) the Adler table includes all table elements in one. This makes the act of extending the table easy and effortless for the client. Both sides of the extending table are connected and work together when opening. The central extending section sits below these and is exposed when open. And to put it in position? Simply give it a twist and the central element will turn and lift itself into place. View our video below to see how the extendable table works. This video was taken at our open plan lifestyle showroom in Amersham. If you would like to see the Adler Table for yourself, or you have clients that would like to visit, just get in touch with us to book your appointment. You can also take a look at our showroom page to view a 3D Virtual reality Tour of the entire Sky House Complex, including the IQ Furniture showroom.